Your Continental is unlike any other car. So it deserves a service to match. Which is why we launched the 4+ Service Programme, providing hands-on care for your car from our Bentley-trained technicians. Inflation proof offer means prices are immune to rises over the course of the plan. In addition to the full Continental service*, we are pleased to confirm that two alternative services are now available, exclusively for Continental Series cars four years and older. Based on the age and mileage of your vehicle, our factory-trained technicians will advise of the service required, and will only ever use genuine Bentley parts, back by a comprehensive warranty. This flexible programme gives you the peace of mind that you can continue to maintain your Bentley service history – and therefore its authenticity and value. You can pay for these services through a monthly, fixed price plan. Our 2-Year Service Plan makes servicing your Bentley more manageable, and £95 a month over an 18-month period, will provide one Major and one Interim Service. Alternatively, you can pay for your service plan at £649 for a specific Interim Service, and £999 for a Major Service. Each one is approved by Bentley Motors and covers all fundamental maintenance items. Following the inspection of your car, your service advisor may also advise that further maintenance is required and details of these items are available upon request. To discover more about the 4+ Service Programme, please complete the registration form and our Service Advisor will contact you. This new programme offers the full recommended Bentley service for your Continental Series model from the fourth year onward at a competitive, fixed price. Service Regime - What's Included? **Work requested outside of your service plans is not included. All work is in line with Bentley national pricing. 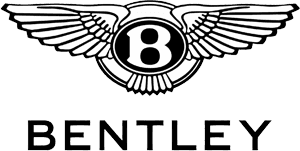 Bentley Financial Services is a trading name of VOLKSWAGEN FINANCIAL SERVICES (UK) LIMITED, Brunswick Court, Yeomans Drive, Blakelands, Milton Keynes, MK14 5LR, United Kingdom. Registered in England number 2835230.Available to 18s and over. Terms and conditions apply. Bentley Financial Services.